Located off the northwest tip of the island of New Guinea, Raja Ampat (the Four Kings) is a fast archipelago comprising over 1,500 small islands and cays. Marine surveys suggest that the marine life diversity around the Raja Ampat islands is the highest recorded on Earth making it one of the most famous dive destinations in the world. The staggering abundance of marine life is due in part to its incredibly low human population density. The Tanjung Puting National Park is located on the island of Borneo in the Indonesian province of Central Kalimantan. 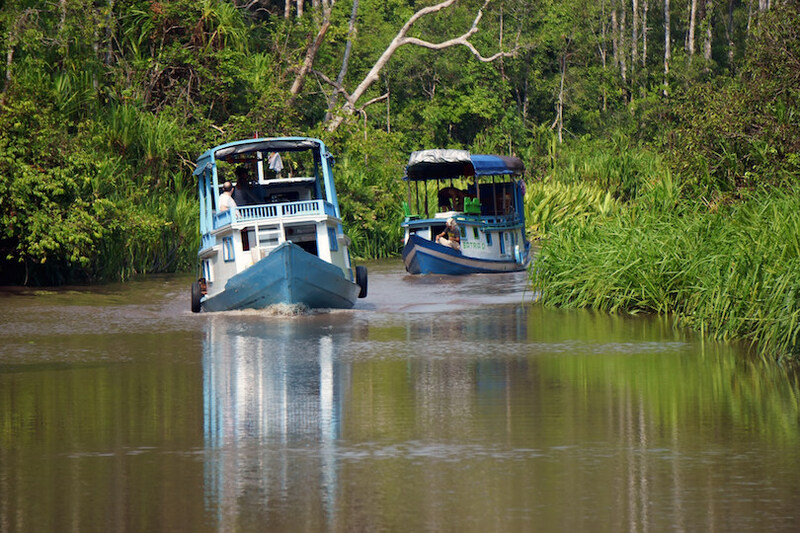 The park is a popular ecotourism destination, with many local tour companies offering multi-day boat tours to view wildlife and visit the research centers. Wildlife include gibbons, macaques, clouded leopards, sun bears, pythons, crocodiles and – most famously – orangutans. Unfortunately illegal logging and forest clearing for agricultural uses are a major threat to the park. 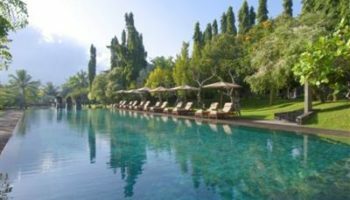 Lying to the east of Sumbawa and to the west of Lembata in Nusa Tenggara, the long island of Flores offers an array of natural and cultural sights. The most famous attraction in Flores is the Kelimutu volcano caldera, which has three lakes fed by volcanic gas that change color according to the amount of oxidation in the water. 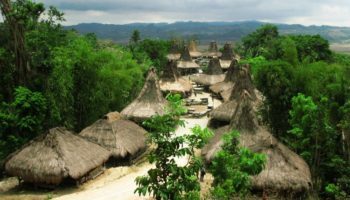 Flores also has a growing eco-tourism industry, where travelers can visit traditional villages, stay with local families and join in activities such as bird watching and trekking. 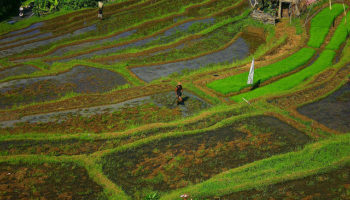 Torajaland (Tana Toraja) is a highland region of South Sulawesi, home of the Toraja people. 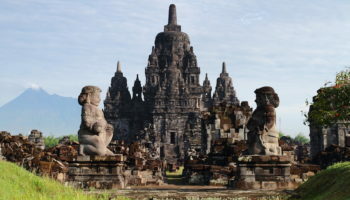 Torajans are famous for their massive peaked-roof houses known as tongkonan and spectacular but gruesome funeral rites. After a person’s death, the body is kept – often for several years – until the actual funeral ceremony, which can last for several days. The deceased is then finally buried in a small cave or in a hollow tree. The biggest funerals are usually held in the dry-season months of July and August, but there are funerals year-round. Bukit Lawang is a small village situated at the eastern side of Gunung Leuser National Park about 90 kilometers northwest of Medan, the capital city of North Sumatra. A rehabilitation center for orangutans was founded here in 1973. The main purpose is to preserve the decreasing number of orangutan population due to hunting and deforestation. With a wonderful selection of treks into the heart of the jungle, whitewater adventures and some of the best opportunities to see wild orangutan in the world, Bukit Lawang is a destination worth visiting. The Bromo Tengger Semeru National Park is best known for its awesome scenery of a vast, ancient volcanic crater and a host of picturesque volcanoes that have emerged from it. The park is named after two mountains, Mount Semeru, Mount Bromo and the Tengger people who inhabit the area. 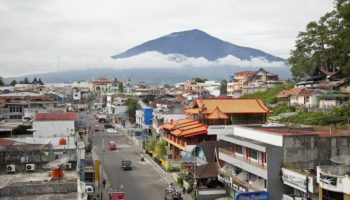 Semeru is the highest mountain in Java as well as one of Indonesia’s most active volcanoes. The smouldering cone of Bromo stands in a sea of volcanic sand, surrounded by the towering cliffs of the crater’s edge. 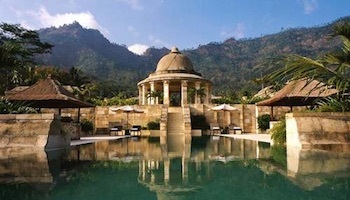 Lombok is often compared to its closest neighbor: Bali. 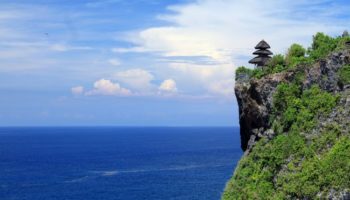 The island has the same kind of beautiful beaches and volcanic scenery as Bali, with less commercialism and fewer crowds making it one of the best places to visit in Indonesia. The island’s northern area is dominated by the enormous volcano of Gunung Rinjani, and trekking at least part of the way up is the reason many tourists visit Lombok. The three Gili Islands, just off the northwest coast are the most popular beach destination. Encompassing both Rinca Island, Komodo Island and a number of smaller islets, the Komodo National Park is world famous as the habitat of the Komodo Dragons, giant carnivorous monitor lizards that can reach up to 3 meters (10 feet) in length. The reptiles roam freely over the islands, and visitors rely on experienced tour guides for sightings and to keep them safe. Komodo National Park is also famous as a world-class scuba diving destination. Yogyakarta is a bustling town of some 500,000 people and the most popular tourist destination on Java, due to its proximity to the famous temples of Borobudur and Prambanan. The city itself is a center of art and education, offers some good shopping and has a wide range of tourist facilities. Yogyakarta lies in one of the most seismically active parts of Java and has thus repeatedly been struck by earthquakes and volcano eruptions. In 2006 an earthquake flattened over 300,000 houses while in 2010 the nearby volcano of Mount Merapi erupted, spewing lava over nearby villages. 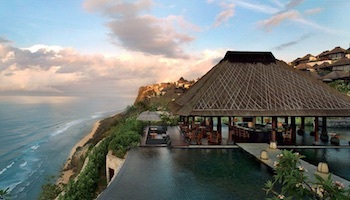 Bali is one of the world’s most popular island destinations and one which consistently wins travel awards. The varied landscape, rugged coastlines, tropical beaches, lush rice terraces and volcanic hillsides all provide a picturesque backdrop to its colorful, deeply spiritual and unique Hindu culture. 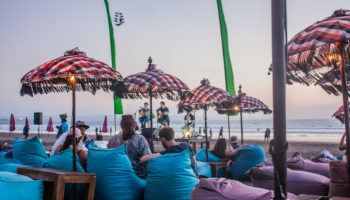 The combination of friendly people, a magnificently visual culture infused with spirituality and spectacular beaches with great surfing and diving have made Bali the most popular tourist destination in Indonesia. 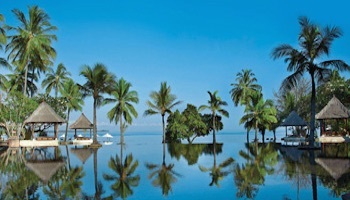 Which destination do you consider the best place to visit in Indonesia? Kuta is kind of like the Tijuana of Bali. The streets are narrow here and there are hundreds of stalls, selling faux-brand ripoffs, novelty souvenirs. There are plenty of hotels and you are sure to get some great sun time in, but the frantic energy here is only inviting for so long.